Lacey’s Motorcycles is proudly partnered with Team ZX1, giving us the opportunity to treat our restored motorcycles with their unique metal treatment range. 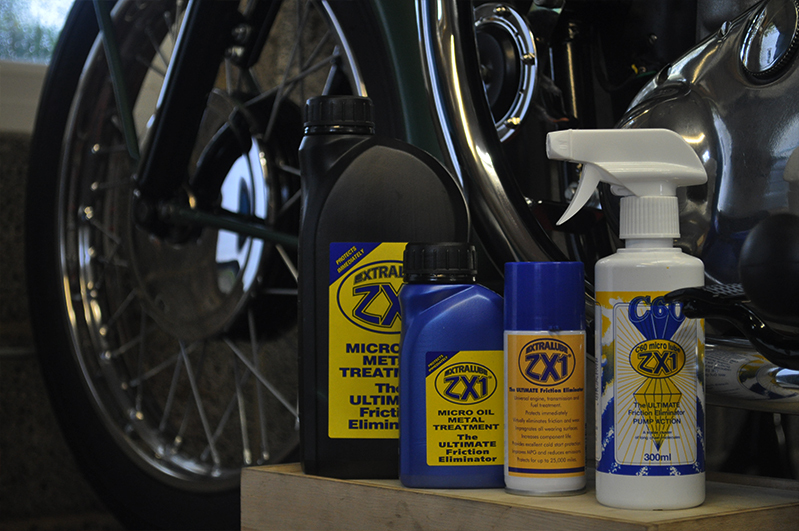 "Extralube ZX1 Micro-Oil Metal Treatment" is simply a friction eliminator. With their flagship lubricant offering impressive “Friction Eliminating” properties. Bonding to machined surfaces improving lubricity and therefore offering a multitude of benefits to treated components. With years of development, Extralube ZX1 now boasts an impressive product portfolio, offering “Friction Eliminating” properties throughout their range. 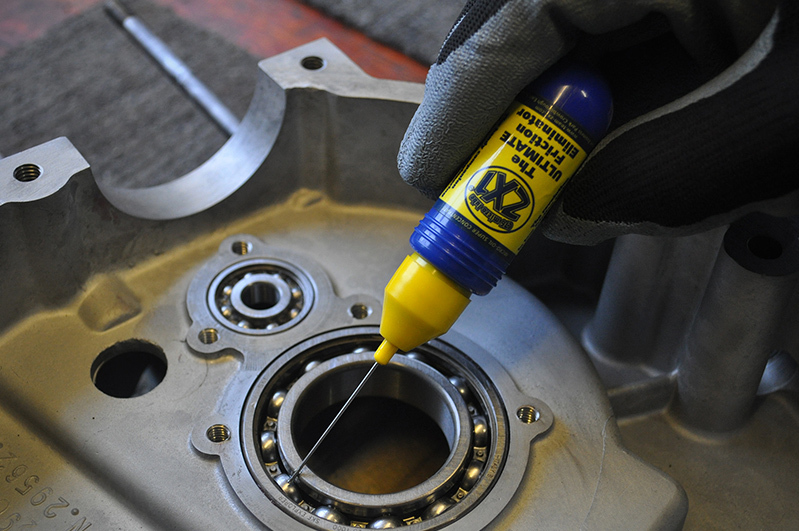 ZX1 “Metal treatment” Oil, will protect your engine immediately after application and will virtually eliminate friction between components. Provides excellent cold start protection. One single application protects an engine for up to 25,000 miles. Safe against any composite fibre clutch plates. Significant reduction in vibration and mechanical noises. Improved fuel economy from efficient running. Team ZX1 have created a unique product range surrounding their flagship metal-treatment. 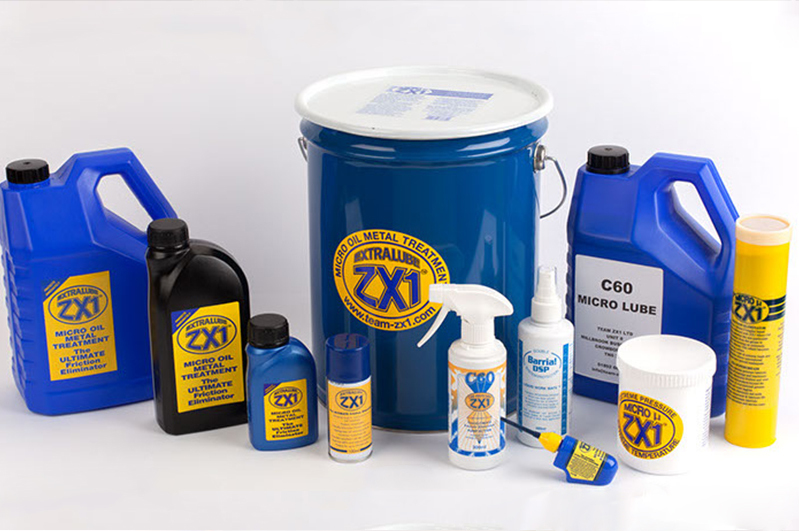 With various application methods, you can now use ZX1 products throughout your motorcycle. 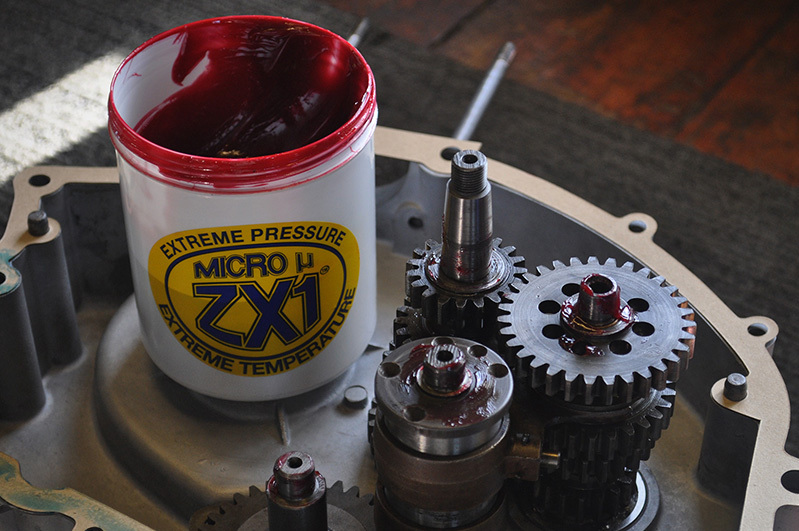 ZX1’s SUPER GREASE is a grease designed to work with extreme loads and high temperatures. Used where conventional lubricants have proved inadequate, this genius blend offers great protection against moving parts. Penetrate and seal the pores of the steel, reducing friction and protecting high impact surfaces. Keep your chain in good condition and reduce chain stretch dramatically. For places where treatment cannot be reached, C67 Micro-Lube pin oiler might be for you – It’s a more viscous lubricant that’s packaged with a fine needle applicator; making those hard to reach areas much more accessible. Leave no component unprotected! For more treatment information and dosage advice, feel free to explore Team ZX1’s Website.